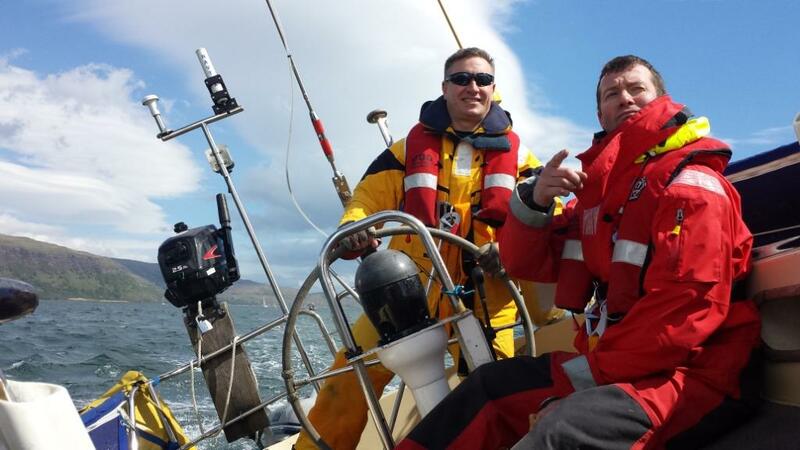 Ex Hebridean Phoenix was the 5MI Bn entry to the Scottish Islands Peaks Race in 2014. The race is an arduous event that combines challenging coastal sailing and fell running. The entry was made to the Inter-Service category where three team members were responsible for the sailing and the remaining two completed the running. The Exercise commenced with the collection of Yacht Gawaine from HMNB CLYDE and a delivery trip from the Clyde to Oban for the race start. We made a sharp exit from HMNB CLYDE and motored to Rhu where we swung on a mooring for the first night. 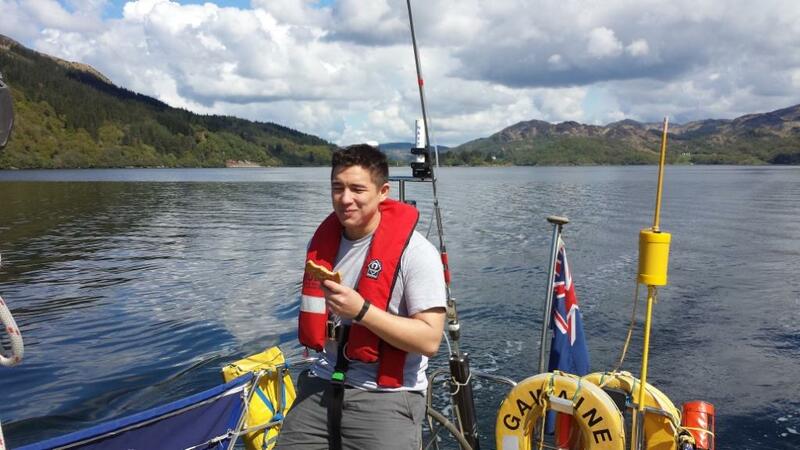 Day one saw the boat move from Rhu via Rothesay, with a visit to the must-see Victorian public toilets, and onward to Tarbet and finally Portavadie. The next day was all about locks. Not security type locks – Canal type locks! With much heaving and grunting the 15 locks of the Crinan Canal were successfully navigated and thus a northward passage around the Mull of Kintyre avoided. The day was planned to finish there but a combination of peer pressure for a night sail and inconsiderate tide times forced capitulation from an easily encouraged skipper – night sail it was. We swung on a mooring just outside the Canal waiting for the tide to turn before venturing out into the gathering darkness. The passage included the notorious Dorus Mor, passing close to the mouth of the Corryvreckan. The cross-tides, whirlpools and otherwise disturbed water were hidden from view but were plainly identified by the uneasy movement of the boat. We pressed on through the darkness with a man deployed to the bow to spot for lights and the buoys of lobster pots that loomed up out of the darkness at the last minute. It was a long night and we arrived about 04:30 am into Oban. The race started with a 10ish km run on shore in Oban. The runners did the necessary and were collected from the shore by rubber dingy. We were about the second last boat out of Oban but as the wind filled in we were making good progress and rapidly caught and passed 9 other boats. As darkness fell we dropped the runners and then dropped the hook and then dropped the hook again and finally one more time. The thick seaweed made gripping the seabed pretty tough but not as tough as the 8+ hours of running that were ahead. As the darkness started to lift the radio crackled into life – the two brave adventurers were nearing the shore. With a burst of activity the well-rested sailors sprang into action, recovering the runners to the boat in short order. And we were off, off to move randomly in the same square mile for the next seven hours as we fought the rising tide with no wind. After an eternity of drifting with the tide, the wind started to build and we were off again. 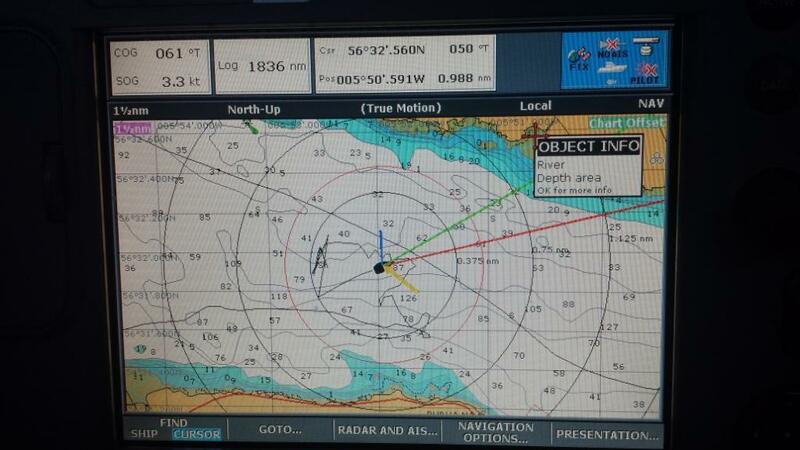 We made good progress, overtaking about 13 boats in the Sound of Mull, Firth of Lorne and Sound of Luing. The race was to get south of Fladda Island before the tide turned against us and the notorious overfalls started to build. We played tag with another yacht until it made a bad call and was swept away in the strong tide towards the mouth of the infamous Corryvreckan. We arrived at Craighouse on Jura at 23:30, sailing onto a mooring in the dark and in an unfamiliar port – not a shabby achievement at all. Our rather pale looking runners were once again dispatched to do their stuff, going ashore in fog and drizzle. Little did we know that 11 hours of hard-core nav lay in wait for them! 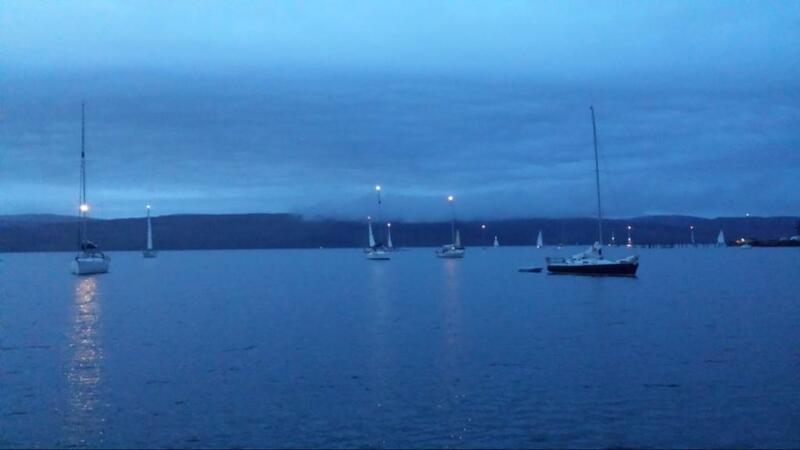 Departure from Jura was highly problematic, with a general lack of wind. 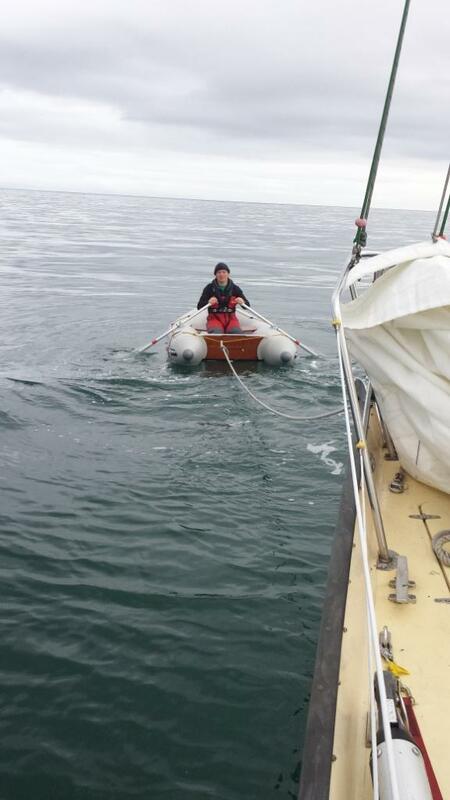 The skipper even took to the dinghy and after an hour of constant rowing had only managed to tow the yacht 0.1 miles. With much deliberation and with heavy hearts we concluded that we had no alternative to check in with race control and withdraw from the race. A sad end to a most excellent and challenging event. Overall we acquitted ourselves pretty well. Of the 43 boats that started only 17 completed the course. Of the three boats entered in the Inter-service Class we were second into Jura and take this as second place in Class as the third boat also withdrew from the race at Jura. Shouldn’t we be heading that way? Steady as she goes, Number One.